At Nicolás Correa Service, "putting the machine in geometry" is one of the most important steps during our retrofitting process of second-hand CNC milling machines. A preventive maintenance can reduce and even avoid the most common and important breakdowns of the machine, as well as its deterioration. At Nicolás Correa Service, S.A. this service is offered to CORREA milling machines end users as we are convinced that it is the best way to maximise machine productivity, reducing unwanted machine downtime. The guidance of the milling machines can be of two types, friction or rolling. Below, we explain their differences and the refurbishment process that we do at Nicolás Correa Service. Do you know the functionality of an automatic tool changer of CNC milling machines? The ATC (Automatic Tool Changer), allows that the change of tools in the milling head is carried out in a programmed way and without the intervention of an operator, then optimizing and simplifying the work of CNC milling machines. The use of the computerized numerical control (CNC) in the industrial machinery has introduced programmable automation of production and the achievement of movements impossible to perform manually. This allows an improvement of productivity, accuracy, security, speed, repeatability and flexibility, which also leads in a reduction of waste. 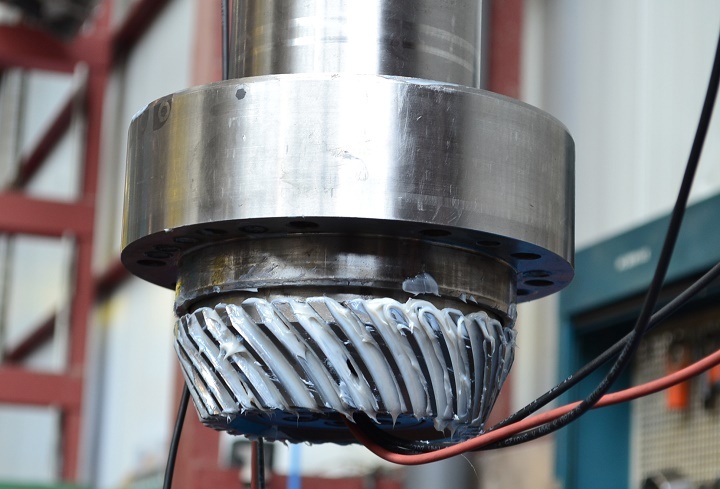 The retrofitting of the milling head, or even its replacement, is one of the most usual jobs requested by our customers, due to the fact of being one of the elements that puts up with highest efforts suffered during a milling machine’s useful life. Nicolás Correa Service has qualified engineers, specialized in this delicate job of repairing either manual or automatic milling heads. 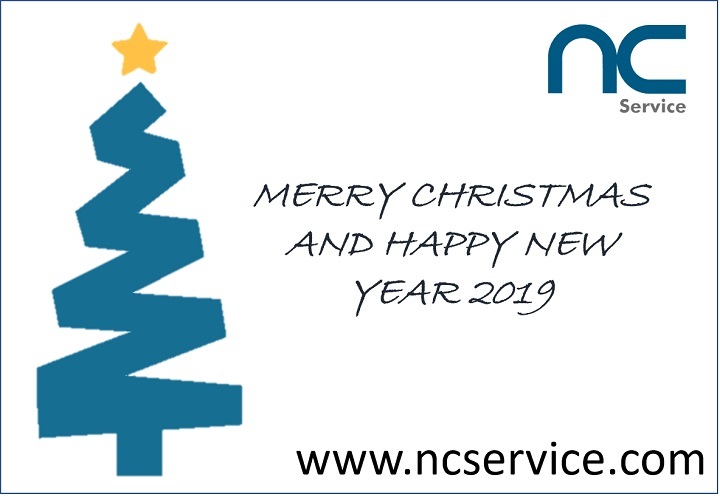 The team of Nicolás Correa Service would like to wish you a Merry Christmas looking back to this about to end year, in which we have continued growing as a company. When moving a milling machine, carrying out a correct disassembly and a safe transport is vital to avoid damaging any of its elements during the journey, which may subsequently affect the machining performance. This has a special significance when dealing with big sized milling machines. 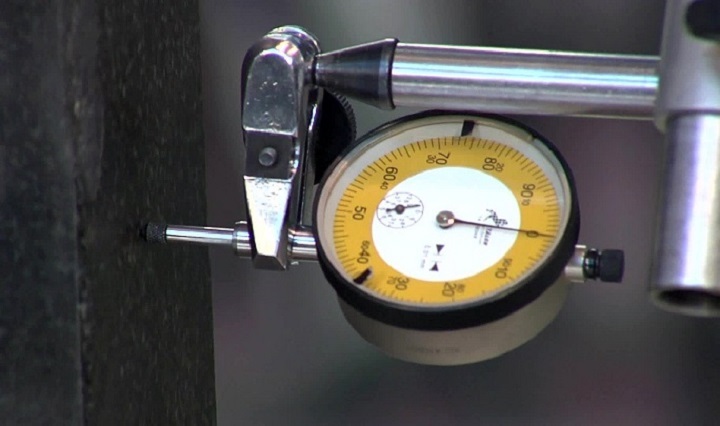 Do you know what scraping adjustment is and what is it for? 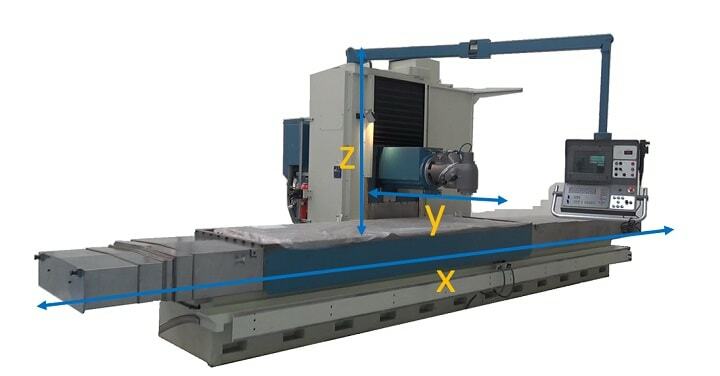 As a result of the continuous use of a machine, the constant movement of its axes and elements could produce damages that would finally cause machining problems. 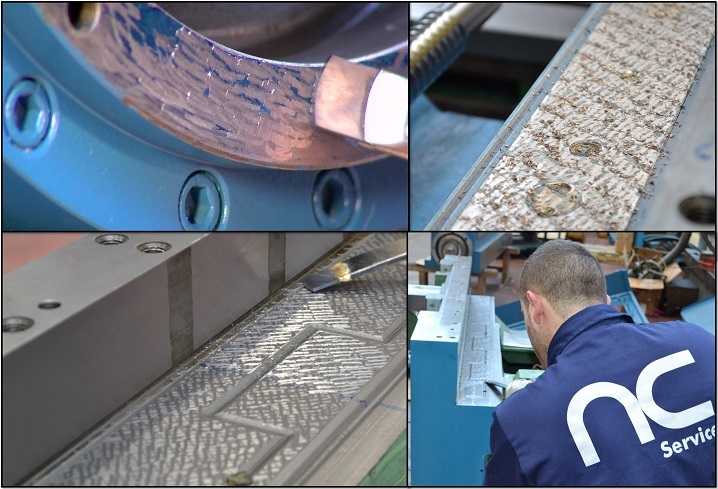 For this reason, during the refurbishment of a machine tool, a manual adjustment is carried out by means of a tool called “scraper”, whose objective is to adapt two flat or curved parts so that they slide together with the most perfect contact possible. This process is called "scraping".